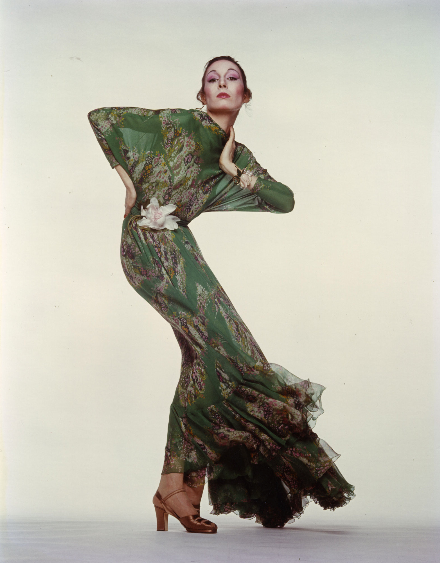 She was one of the iconic fashion faces of the seventies. Her work in films such as Prizzi’s Honor made her a star. She came from a legendary moviemaking family and her tumultuous romance with Jack Nicholson was one for the ages. Anjelica Huston has got plenty to talk about – and now she’s talking. Last month, Huston published Watch Me, a memoir continuing the saga she began to unfold in last year’s A Story Lately Told: Coming of Age in Ireland, London, and New York. As it happens, the two books dovetail at precisely the period of Huston’s life when she was starring in the Valentino haute couture campaign. 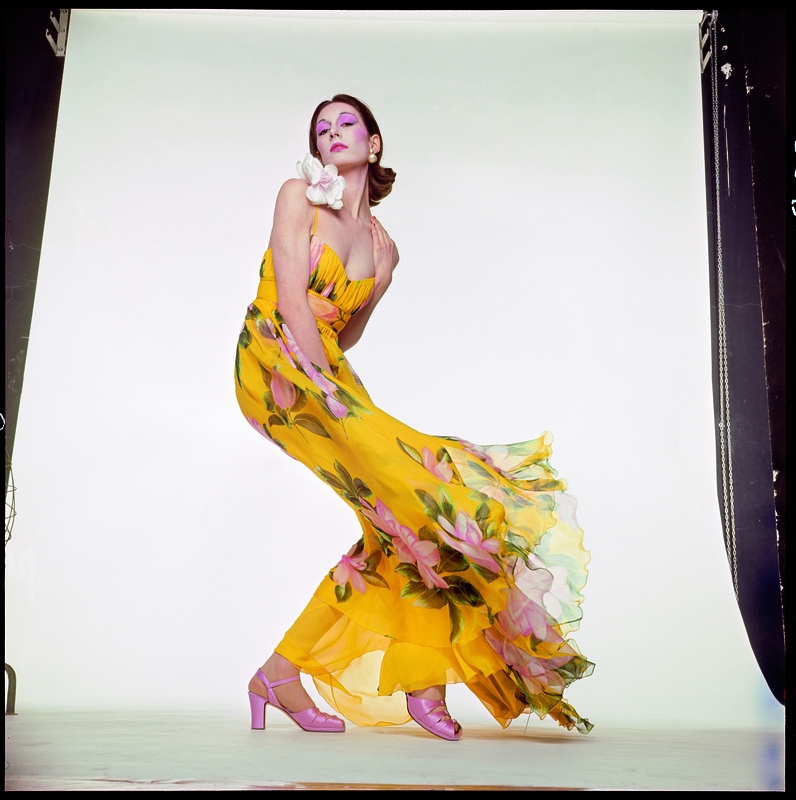 Gian Paolo Barbieri’s shot of her, in a diaphanous yellow floral Valentino gown, is one of the indelible campaign images of the era—it’s a perennial on the moodboards used by designers to collage seasonal references and inspirations. 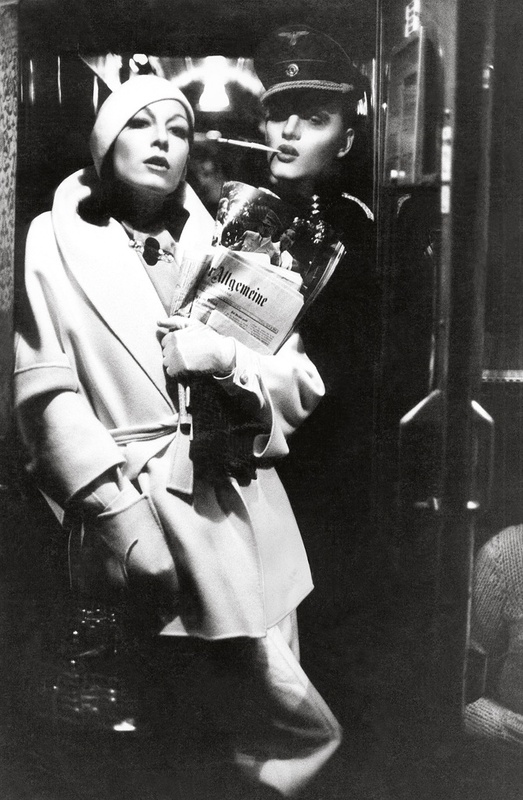 Ditto Bob Richardson’s moody photographs of Huston in a Valentino spread for Vogue Italia from 1972. By her own account, Huston was never an enthusiastic model—and she may have never become such a successful one at all, had she heeded Eileen Ford’s advice, recounted in Watch Me, and gotten a nose job. But even after she quit the fashion biz for the movie biz, Huston remained a member of Maison Valentino’s extended family. She, Nicholson, Mr. Valentino and Mr. Giammetti ran in overlapping circles in New York and Hollywood, and over the years, Huston has made a habit of wearing Valentino to red carpet events, which she attends selectively. One she came out for was the gala celebration in Los Angeles of Maison Valentino’s 40thanniversary. As always, she looked every inch the Hollywood royal she always seemed destined to be. Huston’s memoirs paint a more complicated picture—but a beautiful one, still.